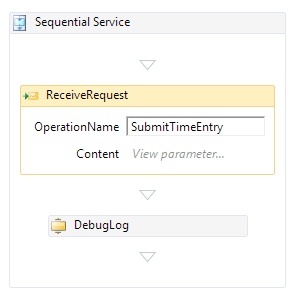 The services architecture for the product I work on follows the Command Query Responsibility Separation approach which I’ve talked about before. In summary we fetch data from an OData service provided by WCF Data Services and then make updates via a suite of services implemented using regular SOAPy WCF. We closely monitor the message exchange between our applications and services to ensure that we aren’t too chatty, messages aren’t too big and so on – we do this using the excellent Fiddler. 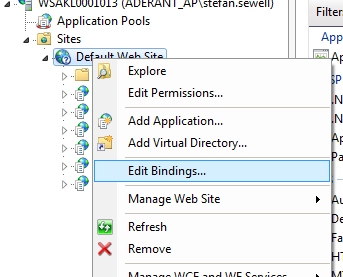 Many moons ago, I spent quite some time getting my head around how to correctly configure IIS and WCF to use Kerberos to allow the services to be scaled out over a web farm. By now I’ve run through this on numerous test environments and real world environments so I was pretty confident I know how it works. Our software runs on-premise within the walled garden of the corporate network. We support some of the largest law firms in the world and so on occasion have to deal with some very wide area networks. The connection from desktop to server can take place over long distances with the characteristics of high latency and low bandwidth; any messaging overhead can be painful. For years now we’ve used Fiddler to look at our services as all the call activated services use HTTP. At one client, Fiddler was not working [which turned out to be a conflict with the McAfee software they used] and so they used Wireshark instead. When observing the HTTP traffic in Wireshark, our consultants and the client saw many HTTP 401 authentication responses, far more than we expected. Each 401 response results in additional latency delay and requires additional messages to be exchanged between the client and the server. In our testing to date, we believed we had tuned the services to require only a single 401 authentication response and then to cache and present the credentials on each subsequent request. 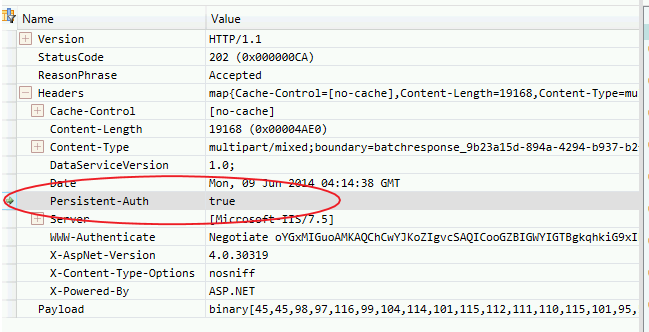 To stop a WCF Data Services request, secured using Windows Authentication, requiring authentication on every call – you need to set the PreAuthenticate flag to true on the HttpWebRequest via the SendingRequest2 event on the generated context. 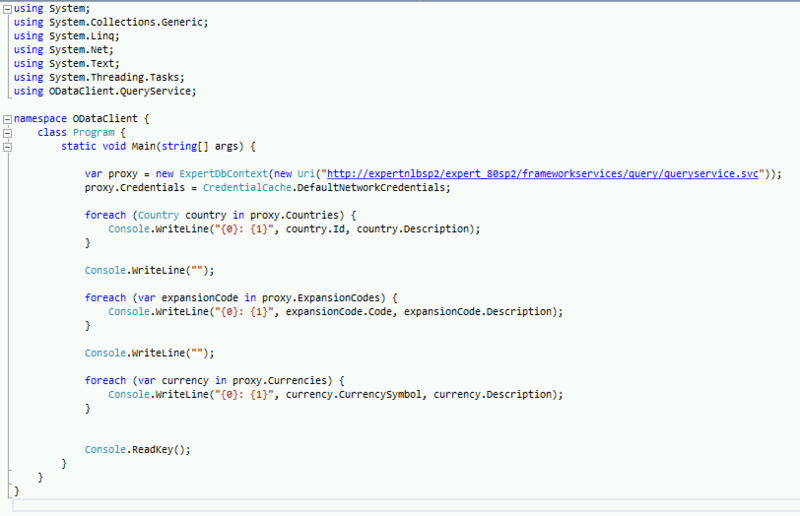 Fiddler (and Web Proxy in the Microsoft Message Analyzer) hides this from you because it implements a connection pool of Keep Alive connections. Using the web proxy produced the same results as Fiddler however using the local link layer filter showed lots of additional 401 responses – when I ran the Message Analyzer with both web proxy and the local link layer filters there was no additional 401s. We had hit a Heisenbug, when observing the HTTP traffic through a web proxy, the proxy was changing the behaviour of the traffic. In this example, *.aderant.com has been added to the local intranet zone. 2. Are the load balanced services running as a domain account? Does this account have an appropriate HTTP SPN registered against it? 3. 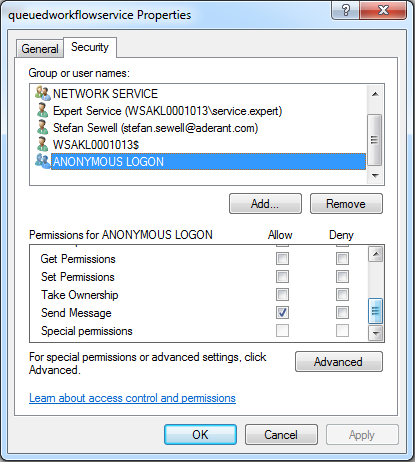 Do the various IIS web applications have the useAppPoolCredentials flag set in configuration? This instructs IIS to expect the Kerberos SGT (service granting ticket) to be encrypted using the credentials of the account used by the mapped application pool, rather than the default machine account. 4. Is Kerberos configured to use a transport session rather than a connection per call for authentication? 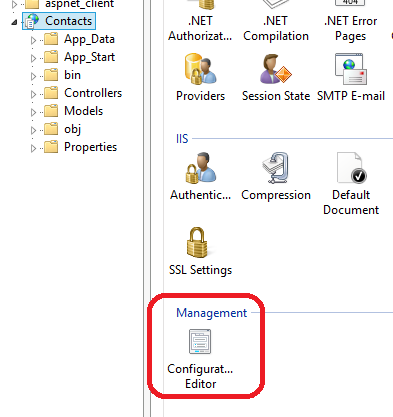 This is set in IIS against the web application using the authPersistNonNTLM setting. Set the properties as required. If you want to programmatically set these values via script, IIS will helpfully generate the scripts for you. 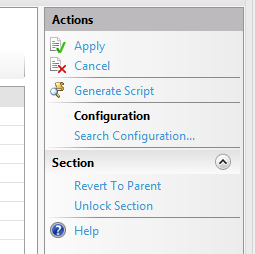 Look over on the right hand side of the Configuration Editor and you’ll see a ’Generate Script’ option. I mapped both the FQDN and the NETBIOS name formats just to be sure. This resolved the issue and I no longer saw NTLM traffic. In some cases, the time required to open a new network connection to the server is greater than the time required to send the request and download the response. 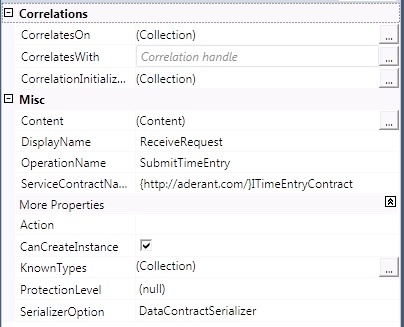 Therefore, if the client opens a new connection for every request, the application’s performance is greatly degraded. The practice of reusing a single TCP/IP connection for multiple requests is called “keep-alive” and it’s the default behaviour in HTTP/1.1. However, clients or servers may choose to disable keep-alive by either sending a Connection: close header or by abruptly closing the connection after each transaction. Fiddler maintains a “connection pool” of idle keep-alive connections to the server. When the a client request comes in, this pool is first checked to determine if an existing connection is available on which the request can be sent. Even if the client specifies a Connection: close request header, that only causes Fiddler to close the client’s connection after the response is sent—the server connection is returned to the pool (unless it too disabled keep-alive). Note that creating connections to servers can be even more expensive than the simple TCP/IP establishment cost. First, there’s TCP/IP Slow-Start, a congestion-management feature of the protocol that means that new connections have a slower transfer rate than longer-lived connections. Next, if you’re using HTTPS, there’s an expensive cryptographic handshake which must be performed on each new connection. Lastly, if your connections use either the NTLM or Negotiate authentication protocols, you may find that each new connection requires a 3-step handshake (e.g. the server sends a HTTP/401 challenge, the client resends the request, the server sends another HTTP/401 challenge, the client resends the request with a challenge-response, and the server finally sends a HTTP/200). Because these are “connection-oriented” authentication protocols, subsequent requests over an existing connection may be able to avoid these extra round-trips. Here is the heisenbug, Fiddler is maintaining a Keep-Alive connection to the server even though my call may not be. So how does this relate to the WCF service calls? For the basicHttpBinding, the Keep-Alive behaviour is enabled by default, it can optionally be turned off via a custom binding, see here. At this point I was still convinced I should not be seeing those additional 401s, so I decided to build a very simple secured WCF service and generate a proxy to the standard OData service we use. 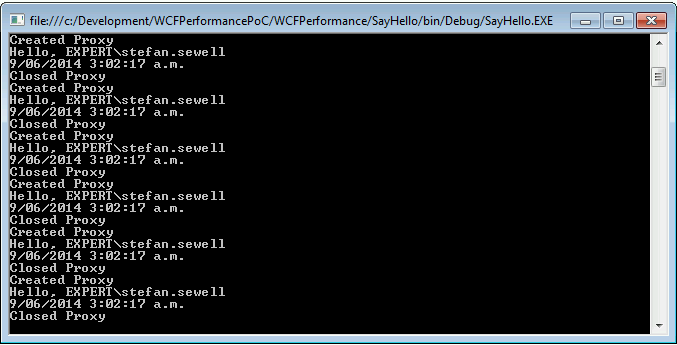 Here is a WCF Service that simply says Hello to the calling Windows user. At last here was the repeated 401/200 behaviour. Then I posted this question to the Microsoft WCF Data Services forum. Testing the code with this small change and the 401s were gone from the WCF Data Service traffic. Just as I was grabbing a celebratory cup of coffee, a colleague asked if I had seen the response to my question on the forum? I had not; it validated the above approach – Thank you Fred Bao. 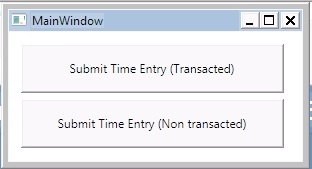 This took about a week elapsed to work through, we’ve now updated our query service (OData) proxy to set the PreAuthenticate flag and can see improved system performance, particularly over constrained WAN connections. That Fiddler hid this really threw me, heisenbugs are really hard to dealt to. I’m getting a sense of déjà vu, I’ve just built a new Windows 8 virtual machine and spent a couple of hours fighting with the Windows Server AppFabric 1.1 install. I’m pretty sure this is at least the second time I’ve been on this merry dance so I’ll document it this time. 1. 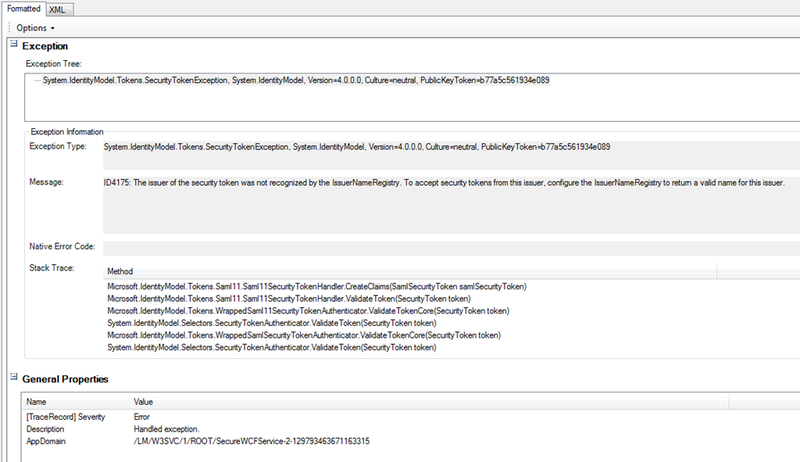 Check the local machine security groups and remove the AS_Administrators or AS_Observers groups if they had been left behind from a previous failed AppFabric installation attempt. 2. 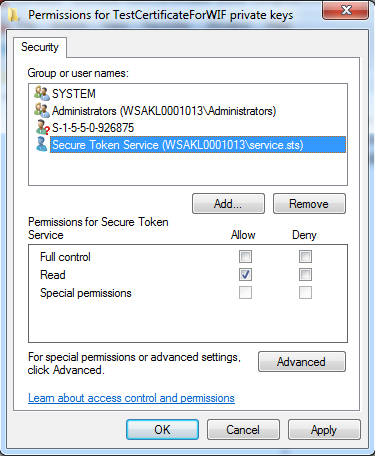 Ensure that the Windows Process Activation Service as well as WCF activation options have been installed. The path to enlightenment was not straight and started with the logging created by the installation process, found in C:\Users\Stef Sewell\AppData\Local\Temp. Three log files and an error log was produced for each failed install attempt. 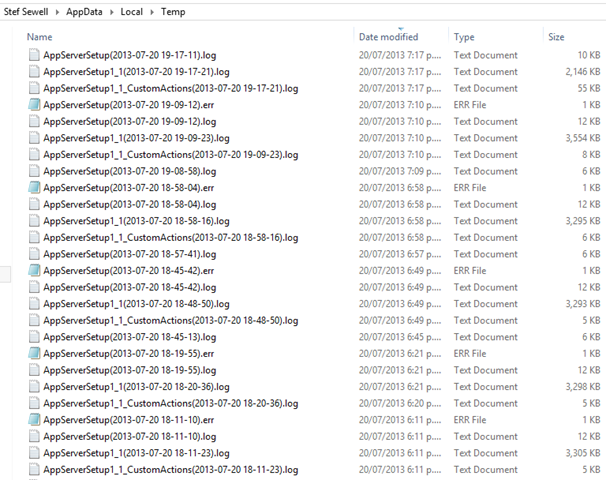 The most interesting files are the AppServerSetup1_1_CustomActions(…).log as they contained the various errors. Error: c:\Windows\SysWOW64\\inetsrv\config: The system cannot find the file specified. 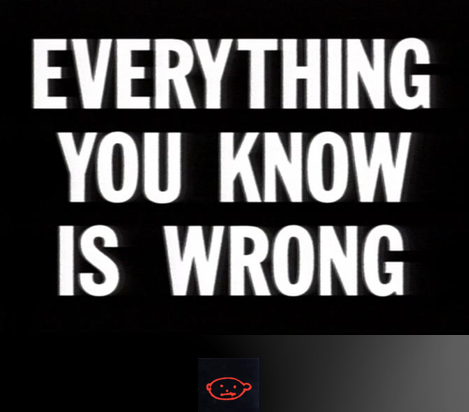 Error: System error 1379 has occurred. Error: The specified local group already exists. Output: Copyright (C) Microsoft Corporation. All rights reserved. Output: Servicing type is None. Now I was getting somewhere, I was missing certain Windows features, in particular the Windows Process Activation Service and the WCF HTTP and non-HTTP activation features. Unfortunately the PowerShell servermanager module is not available on Windows 8 so I installed them via the ‘Program and Features’ control panel. With these features in place, the AppFabric installer was successful. It was at this point I vaguely remembered I’d been through this process 6 months ago when I last set-up a fresh Windows 8 VM, now it’s written up for next time. I’ recently dusted off a WCF sample I’d written and blogged about a year or two ago. During the process of getting it to work again, I discovered the blog posting is incorrect so I’m reposting with corrections and additional explanation. One of the promises of WCF is that it gives us a unified communication model regardless of the protocol: net.tcp, http, msmq, net.pipe and it does. The best description I’ve heard for WCF is that it is a channel factory, and you configure the channels declaratively in the .config file (you can of course use code too if you prefer). The key benefit is that the service contract and implementation, for the main part, can be channel agnostic. Of course there are the exceptions to prove the rule such as a void return being required by an MSMQ channel but for the most part it holds. As it turns out, it was true that I needed to make no changes to code to move from a default http endpoint to a MSMQ endpoint. I need need to do a lot of configuration and setup though which is not that well documented. This post hopes to correct that is some small way. First up the easy part, writing the code. The project template creates the CorrelationHandle for me but we won’t be using it. This is such a simple service that I don’t need any correlation between messages, it just receives and processes the message without communicating back to the sender of the message. Therefore I also cleared out the CorrelatesOn and the CorrelationInitializer properties. That’s it! I’m done. 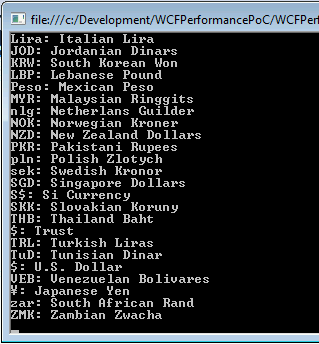 This now runs using the default binding introduced in WCF4 (http and net.tcp). 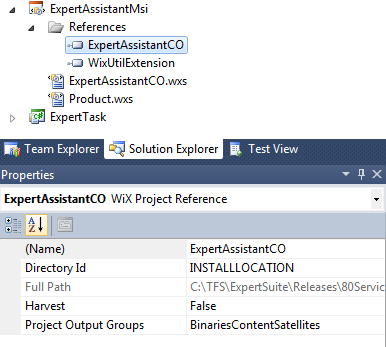 Starting up the project launches my service and the WCF test client is also opened pointing to my new service. The service is running in Cassini, the local web server built into the Visual Studio debugging environment. 15 minutes, or there about, to build a workflow service. What follows a summary of the steps discovered over the next 4 hours try to convert this sample from using an http endpoint to an msmq endpoint. One of the key messages Microsoft heard from the WCF 3 community was that configuration was too hard. 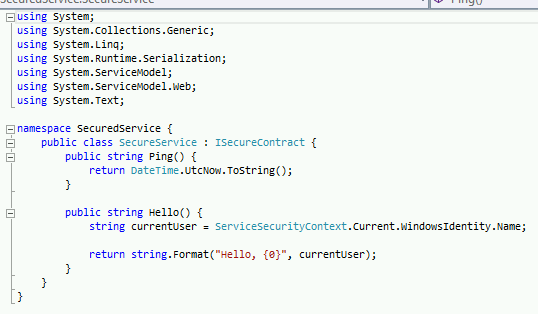 To even get started using WCF you had to understand a mountain of new terms and concepts including: channels, address, binding, contract, behaviours,… the response to this in .NET 4 is defaults. If you don’t specify an endpoint, binding etc then WCF creates a default one for you based upon your machine configuration settings. This makes getting a service up and running a very straightforward experience. BUT as soon as you want to step outside of the defaults, you need the same knowledge that you needed in the WCF 3 world. The two important sections are the endpoint and the netMsmqBinding sections. 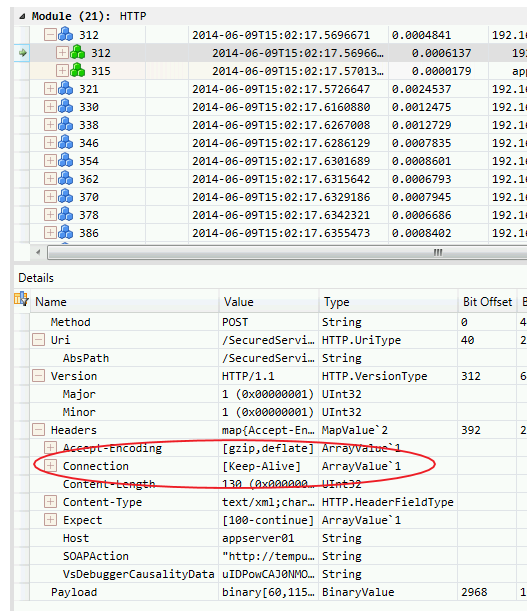 A single service is defined that exposes two MSMQ endpoints, a transactional endpoint and a non-transactional one. This was done to demonstrate the changes required in the netMsmqBinding to support a transactional queue over a non-transactional queue; namely the durable and exactlyOnce attributes. In both cases no security is enabled. I had to do this to get the simplest example to work. Note that the WCF address for the queue does not include a $ suffix on the private queue name and matches the Uri of the service. If you don’t have these services registered on your workstation you will need to go into the ‘Programs and Features’ control panel, then ‘Turn Windows features on or off’ to enable them (Windows 7). With the services installed and started you need to create a private message queue to map the endpoint to (see : http://msdn.microsoft.com/en-us/library/ms789025.aspx ). The queue name must match the Uri of the service. The sample is configured to run without security on the queues, i.e. the queues are not authorized. You must allow the anonymous login ‘send’ rights on the queues. If you don’t, the messages will be delivered but the WAS listener will not be able to pick up the messages from the queue. If you have problems and do not see the message delivered to the correct queue, have a look in the system Dead Letter queues. 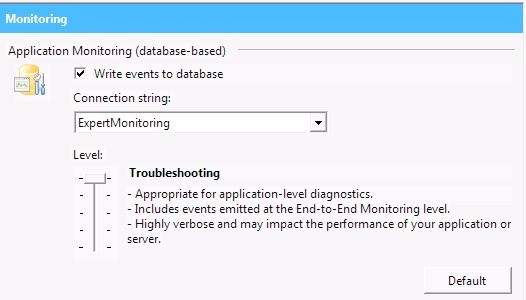 As I wanted events from this service to be added to my AppFabric monitoring store, I also added a connection string to the mapped web application and then configured AppFAbric monitoring to use that connection. 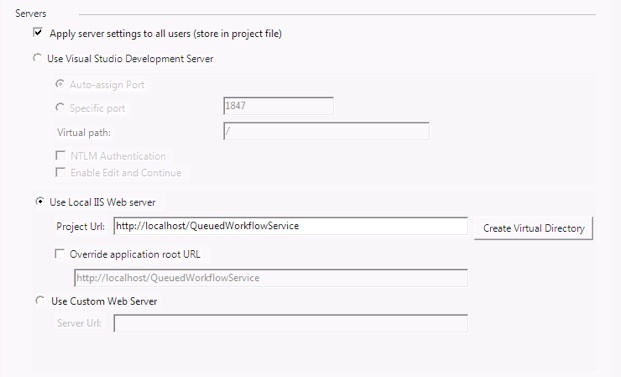 I’ve added in net.msmq for queuing support and also net.pipe for the workflow control endpoint. Make sure that the user the application pool is running as has access to read and write to the queue. I made no changes to the code to move from an http endpoint to a MSMQ endpoint, but it’s not as simple as tweaking the config and you’re good to go. I’d love to see some tooling in VS2010 or VS vNext to take some of the pain away from WCF config, similar to the tooling AppFabric adds into IIS. Until that happens, there are plenty of angle brackets to deal with. Picking up from where we left off previously with the product.wxs file, next we come to the Media element. This is the default media entry created by Votive. The files to be installed are constructed into a single cabinet file which is embedded within the MSI. Following the media is the directory structure we want to install the application into. 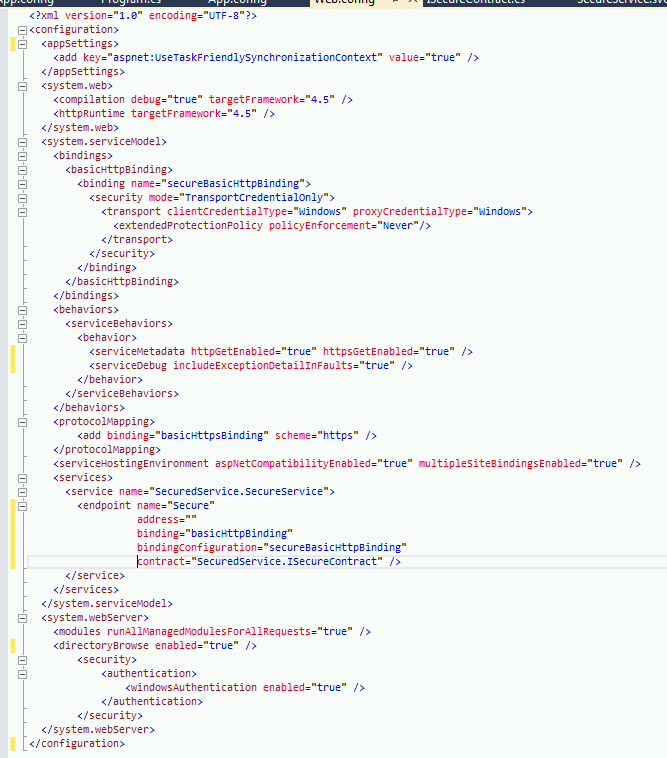 A set of directory elements are nested to describe the required structure. The TARGETDIR is the root directory for the installation and by default is set to the SourceDir. 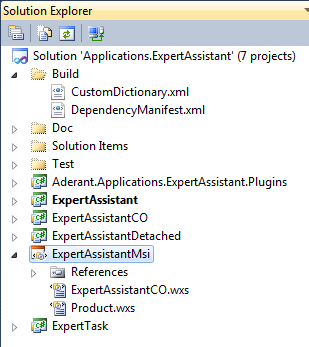 We then set-up the directory structure underneath \AderantExpert\Environment\ExpertAssistantInstaller. 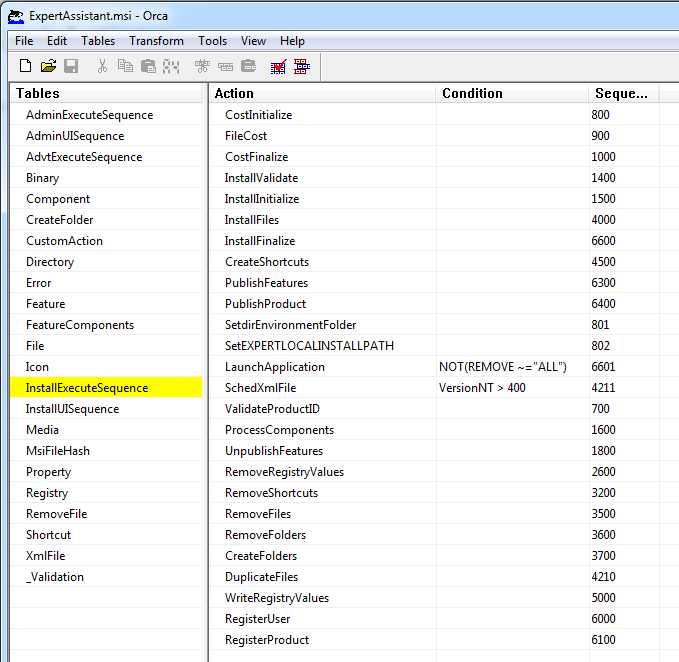 The environment folder is set to the value in the EXPERTENVIRONMENTNAME property. 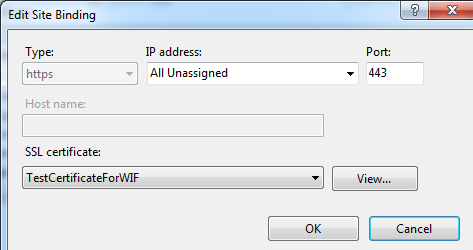 The INSTALLLOCATION Id specifies where the files will be installed to. 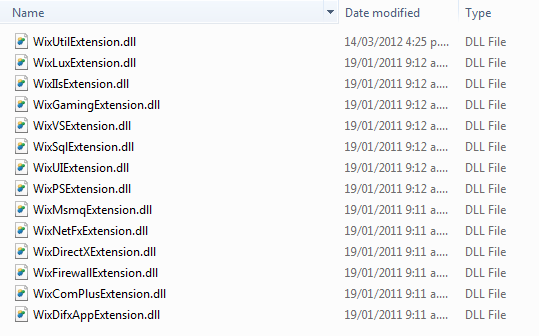 If you want to install into the Program Files folder, see here. 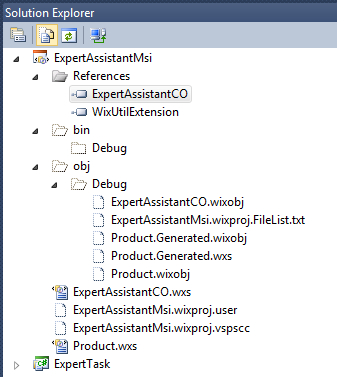 In addition to specifying the target location for the install files, a folder is added to the Program Menu folder for the current user, the ApplicationProgramsFolder reference is used later in the script when setting up the start menu items. It is possible to use components to action additional steps and tie the KeyPath to the containing directory structure. The KeyPath is used by the installer to determine if an item exists so if the containing directory structure exists the actions do not run. In my sample the red comment above is a place holder for a couple of components similar to. A common requirement is to add a shortcut for the installed application to the Start Menu. There is an odd twist here as we are using a perUser install. The StartMenu item is unique to each user installing the software and therefore a registry key is required to track the KeyPath. 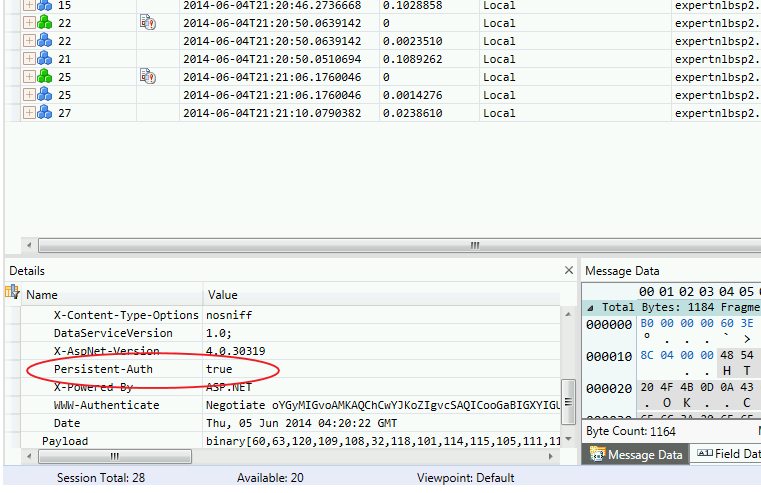 The registry key must be in the HKEY_CURRENT_USER hive and a logical location is Software\VendorName\ApplicationName\. Along with the Shortcut, we also tie a RemoveFolder action to the registry KeyPath so that the folder containing the shortcut is removed during an uninstall. It is possible to have specific actions occur only during an uninstall to clean up, we have this need to remove a registry key that maybe set-up by the application. To achieve this we schedule a Registry action to ‘removeKeyOnUninstall’. 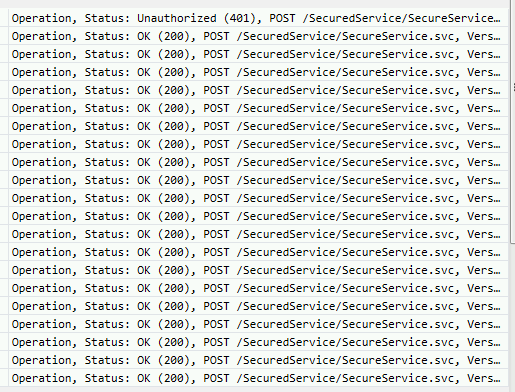 Again, this action is perUser and therefore tied to a KeyPath in the HKEY_CURRENT_USER registry hive. After the installation or repair of the MSI is complete, we’d like the MSI to run the executable that we’ve just installed on to the machine. To do this we need to invoke a custom action. In our case we don’t want the action to execute if we are removing the software, only on install and repair. Therefore we specify the condition ‘NOT(REMOVE ~=”ALL”)’, more details can be found here. NOTE: Before setting this condition, the entry in the Add Remove Programs control panel would not automatically be deleted on uninstall, it would only disappear after a manual refresh. If the uninstall process returns a code other than 0, an error has occurred and so the refresh is not triggered. To see this was the case, I enabled verbose logging via msiexec and removed the MSI using the command line. The log showed that the custom action was failing because the path didn’t exist – because we had just removed it. The non-zero return code was logged. The final part of the script declares a feature – an installable unit. In our case we have a single feature which installs everything. Here the various component groups we’ve declared come into play, rather than listing out every feature individually we can reference the logical component group. And we are done. We don’t require a UI for our installer and so I’ve not looked into that in any depth. WiX does fully support defining an installation wizard UI and even supports custom UI. 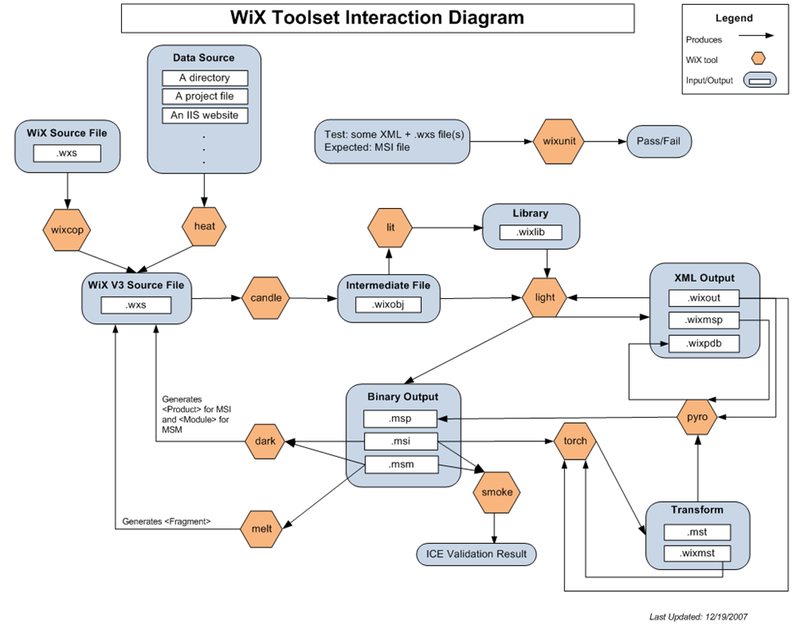 The last piece of the WiX tooling is the Deployment Foundation Toolkit which I’ll save for the next post.